Yep, I spread my um, wings, and took it all in. Me. Standing in front of a room of women delivering a message I believe in. Me. So shy that I avoid eye-contact most of the time, and yet there I was intentionally looking into the eyes of beautiful strangers as I encouraged creativity from their doubtful souls. Me. Tending to women, and loving the challenge. Last night I held a Playshop in the Forest Lake school districtâ€™s community ed program. Was it scary? Yeah, it was. Fortunately, my wise husband not only had a plan b, but also a plan c. He had brought along our projector, which allowed me to blast my PowerPoint all over the art room wall. I love, love, love a diversion as I speak. 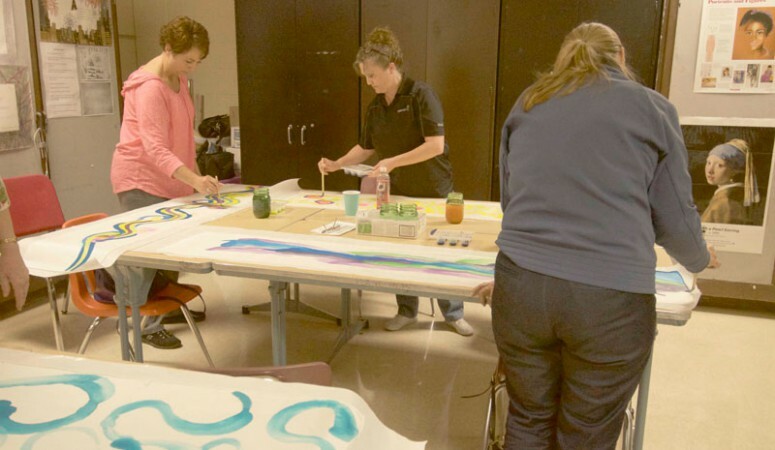 After the program portion of the evening the women explored their inner-artists with brushes and dyes and silk. 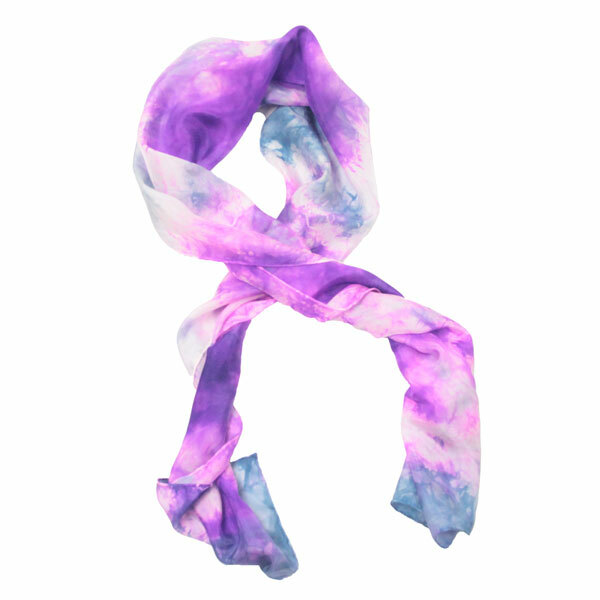 Gorgeous silk scarves blossomed amid giggles and conversation. As the evening concluded the women said they had fun. â€œYou are doing this again, arenâ€™t you?â€ they said. Me. A community ed teacher. Who would have thunk? Feeling scared and stretched and excited? It was the best part of my day.